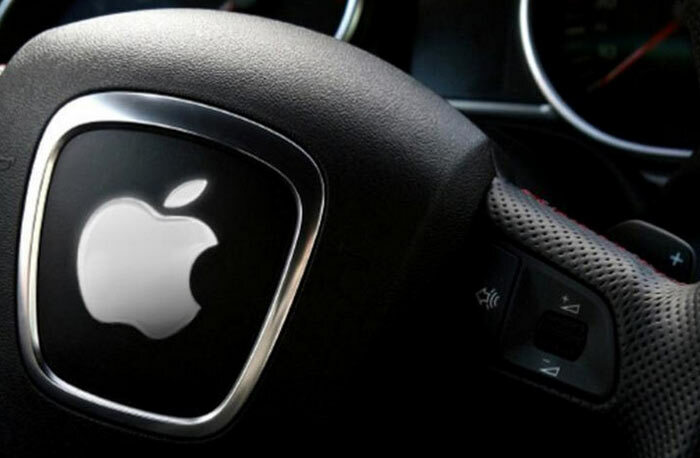 Apple has, for the first time, acknowledged that it is planning to develop self-driving cars. In a letter to the US transport regulators, plus an accompanying statement, Apple confirmed it was investing in automated vehicles which could bring "significant societal benefits," such as preventing millions of road accidents and deaths every year. According to sources of the Financial Times, Apple has hundreds of staff that have been working on an electric car for at least the last two years. Inevitable leaks have highlighted the difficulty involved in such an ambitious project out of its iDevice comfort zone. However, until now Apple has officially never admitted that any automotive initiative exists even when the CEO has been directly asked about it. 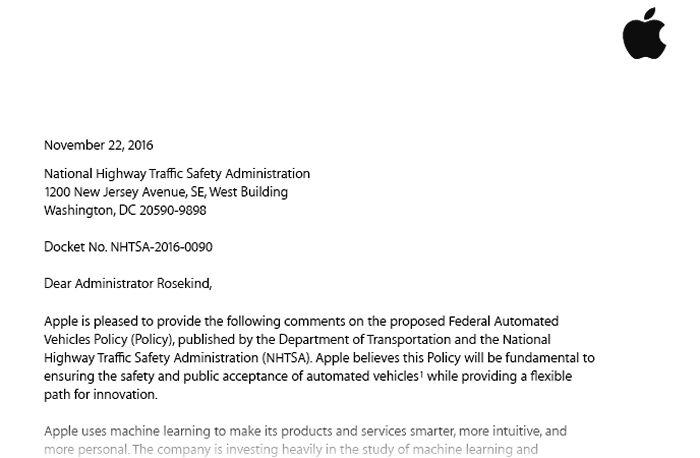 The official five page letter (linked PDF) to the US National Highway Traffic Safety Administration was signed by Steve Kenner, Apple's Director of Product Integrity. In a significant introductory paragraph Keener writes "Apple uses machine learning to make its products and services smarter, more intuitive, and more personal. The company is investing heavily in the study of machine learning and automation, and is excited about the potential of automated systems in many areas, including transportation." Kenner then immediately begins to highlight the potential benefits of automated vehicles to; prevent millions of car crashes, reduce fatalities by thousands, and provide mobility to those without it. It should also save hours of stress of current car drivers, and perhaps even make commute times relaxing, or even productive. In a section of the letter Apple proposes the pooling of development data, as it knows there are several other big players developing automated cars and systems. Sharing de-identified user data about crashes and near-misses would provide a better data set than one company could achieve alone, it reasons. If the end result is fewer crashes, injuries and deaths then it’s a good idea. However, the cynical might say the suggestion is born of Apple being behind its competitors. In October Tesla announced that all its current models come equipped with the hardware necessary for self-driving capability. Google is testing its self-driving cars on public roads. Intel and Nvidia are investing heavily in automated car AI systems.